The club wishes to congratulate 2014 Head Coach Craig McGrath who has taken on an official role with the Rebels and Rising teams in 2015. As such Craig is unavailable to continue coaching the QUINS 1st Grade team due to conflict of interest issues. His 2 years involved with 1st Grade has been very successful boasting 2 premierships and setting a great standard of play within the team and club culture off the field during his tenure. 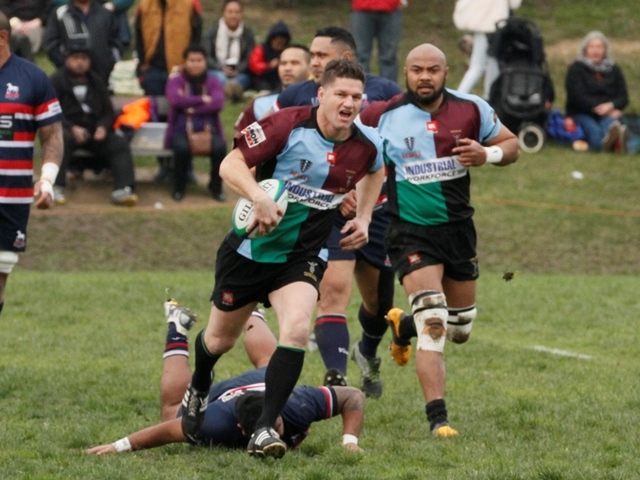 He of course also played halfback for 1st Grade over the two seasons so his play will also be missed. Craig will not be lost totally to the club as he will continue to coach the mighty Quins U8's and will no doubt be at a fair few games to keep track of the boys vying for Rising Squad positions in 2015. To Craig, Kirsty and the kids, thank you for the last 2 years and best of luck in your progression through the professional coach ranks.